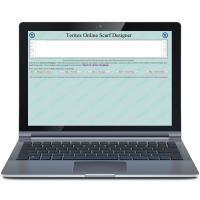 For over 40 years Teritex Sportswear has specialised in custom designed knitted and digitally printed football scarves for the wholesale national and international markets. We currently produce football scarves for the Premiership and Football League teams throughout the UK and various leagues throughout Europe / Scandinavia / Australasia and the US. We do not hold stock, as everything is custom made to order. TALK TO US TODAY ABOUT YOUR CUSTOM DESIGNED FOOTBALL SCARVES REQUIREMENTS !